This quilt represents osmium, used to make filaments for light bulbs. For me, a light inspires curiosity, problem solving, study and opening a door. 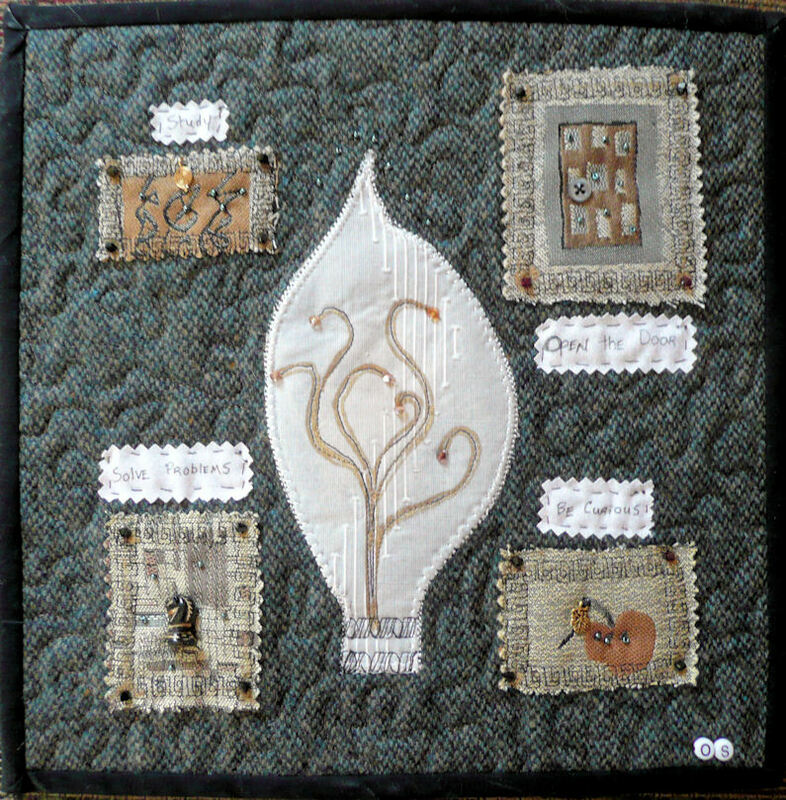 The quilt was created on New Year’s Day, and also portrays my hopes and dreams for 2011.